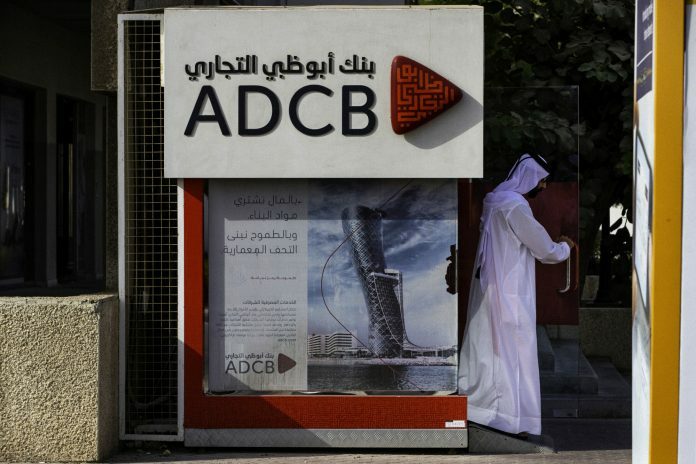 Abu Dhabi Commercial Bank (ADCB) agreed to merge with Union National Bank PJSC and Al Hilal Bank to create the Gulf’s fifth-biggest lender with about $114 billion in assets. ADCB offered 0.5966 share for every UNB share, according to a statement. The combined entity will buy privately-held Al Hilal Bank for about 1 billion dirhams ($272 million) by issuing a mandatory convertible note. The deal is expected to close in the first half. Abu Dhabi, home to 6 percent of global oil reserves, has stepped up efforts to create leaner and more competitive financial institutions. The merger would follow a tie-up between Abu Dhabi’s two biggest banks in 2017 and the combination of sovereign wealth funds in March. 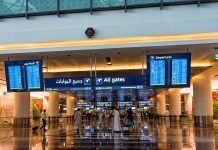 There are almost 50 banks operating in the United Arab Emirates serving a population of about 9 million, compared with 28 lenders in Saudi Arabia catering to more than 30 million people. Abu Dhabi Commercial Bank shares have gained 26 percent since Sept. 3 when it confirmed merger talks. Union National Bank, which on Monday said its chief executive officer is retiring, advanced 37 percent. Al Hilal Bank is owned by state-controlled Abu Dhabi Investment Council. 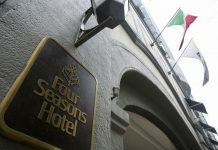 A proposed merger may lead to about a thousand jobs being cut, three people with knowledge of the matter said in December. In the Gulf region, lower oil prices over the past four years are forcing banks to consolidate for scale and to better compete in a crowded market. Subdued credit growth, a squeeze on deposits, higher cost of funds and deteriorating asset qualities are driving consolidation in the regional banking sector. In Saudi Arabia, National Commercial Bank is in talks to merge with Riyad Bank to create the Gulf’s third-largest lender with $182 billion in assets. 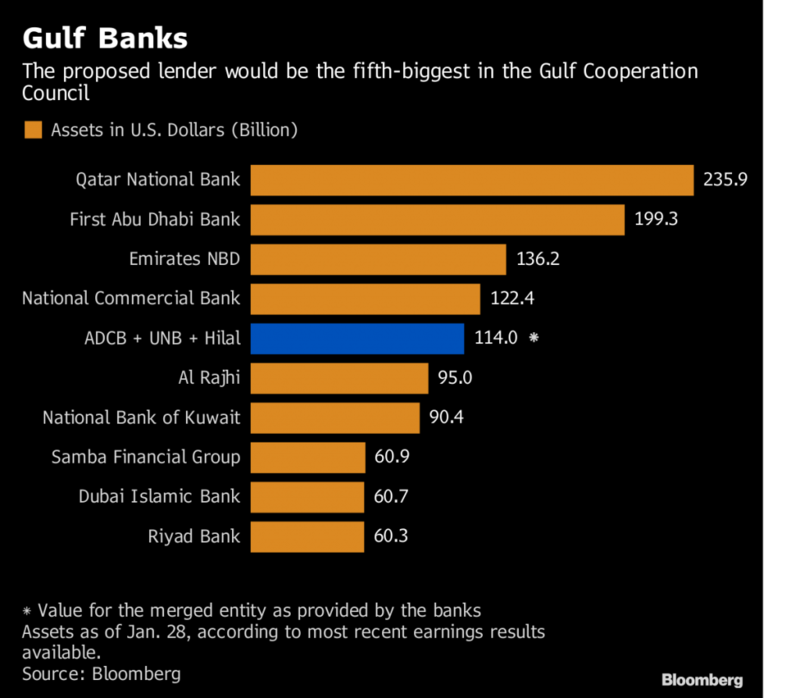 Kuwait Finance House last week offered to buy Bahrain’s Ahli United Bank BSC in a share-swap deal, a potential combination that would create the Gulf’s sixth-biggest lender with $92 billion in assets.